Following on from our blog about the coming of the Simpler BAS and basic GST tax rates, we wanted to give you an update on how we’re progressing and how you can learn more. We’re pleased to announce that Simpler BAS is now available in Xero. This is an all-new BAS experience that helps Australian businesses use the ATO’s new Simpler BAS reporting method. You’ll have two options for completing your BAS. Most businesses below the $10m GST turnover threshold are likely to use Simpler BAS unless they pay by instalments. Those businesses above the threshold must continue using the original full BAS. Getting started is a breeze. When you run your next BAS return in Xero, you’ll be asked whether you’d like to use Simpler BAS, full BAS, or instalments. This short video which walks you through details. If you’re not sure whether you’re Simpler BAS or full BAS, what these changes mean for you, or how it might affect the way you use Xero, then get in touch with with your Xero certified advisor. Or if you don’t have one, you can find an advisor here. For more help with running BAS in Xero, check out the help centre or go to support.xero.com. We’re committed to making BAS easier and faster for Australian businesses and their advisors. The functionality in Xero so far provides a solid foundation on which we can build. Our plans include being able to lodge BAS returns directly to the ATO from within Xero. We’d love to hear your feedback, so let us know what you think. Note: We implemented basic GST tax rates in Xero a little while ago. If you missed it, you can learn about it here. 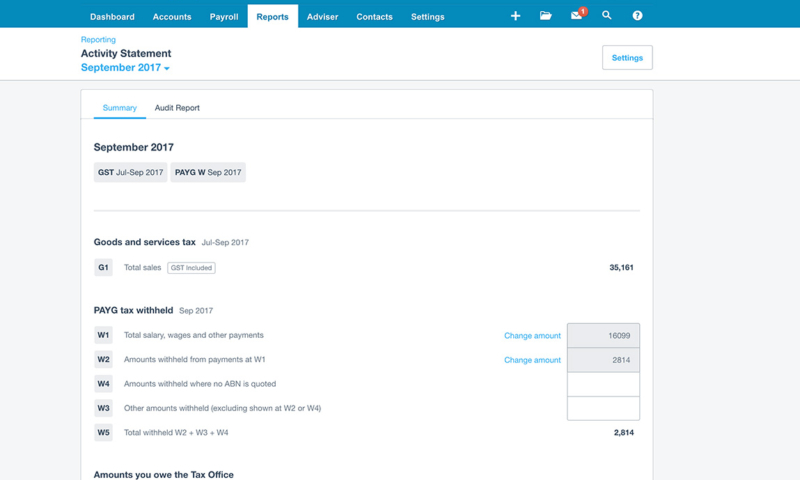 The post Simpler BAS in Xero – compliance made easier for small businesses appeared first on Xero Blog. Uh uh uh! You didn’t say the magic word!